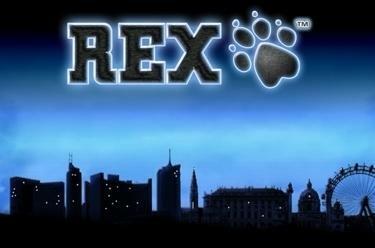 Play Rex™ online for free now! Send in Rex, the trusty police dog, to chase criminals! Our watchdog doesn't just catch thieves, robbers and the odd sausage roll but also collects many Twists on his chases! 5 reels and 40 win lines turn your crime adventure into the perfect story and will make sure that you succeed. 40 win lines across 5 reels: Perfect conditions for chasing winnings! Pay attention to the winning pattern, which runs in single lines from left to right across the reels. To win the matching symbols must land on a win line side by side without interruption. Ideally you land 5 matching symbols along the lines. The Joker symbol (Paw) replaces all symbols except for Scatter (Blue Light). 3 Scatter symbols (Blue Light) in any position trigger 16 Free Games, which will use the bet of your last regular game. 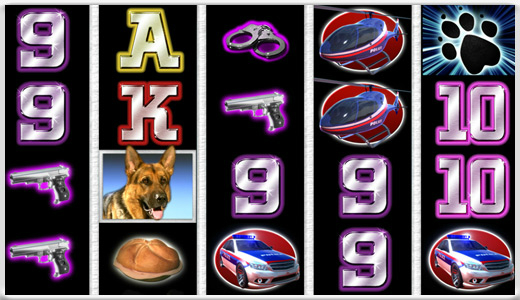 Every sausage roll symbol will change into a dog symbol during the current free spin and raises your winnings in case of a win.